Airguns, airguns airguns. What a great time. For an airgun addict like me., is this heaven or what? Larry Behling and his wife, Teresa has done it again. 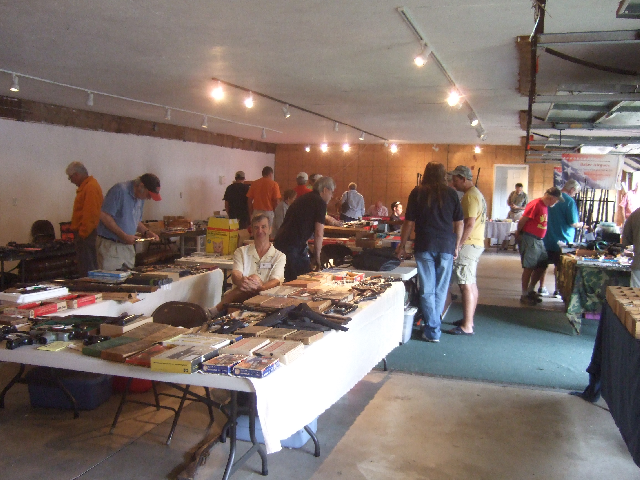 Since 1981 the Behling family has hosted an airgun show in upstate New York. 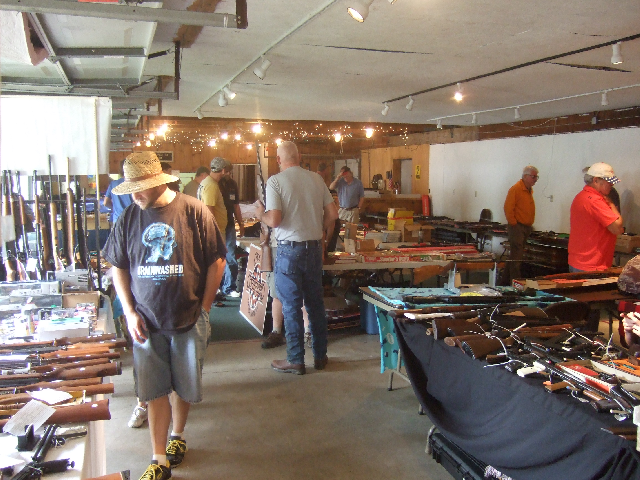 Hosted at American Legion Post 113 the show offers not only a wide range of airguns but also the opportunity to shoot competitively in a number of styles including Field target. Larry dedicates a lot of time to the American Legion Youth shooting program and his teams often rank among the best in the state. He has coached thousands of young shooters. 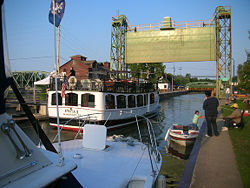 Baldwinsville, New York, the site of the show, is located in beautiful upstate New York near both Lake Ontario and the city of Syracuse. The Seneca River it’s locks and canals grace this beautiful river village. This is very pretty area and we always enjoy the scenery. The show consisted of about 40 tables. 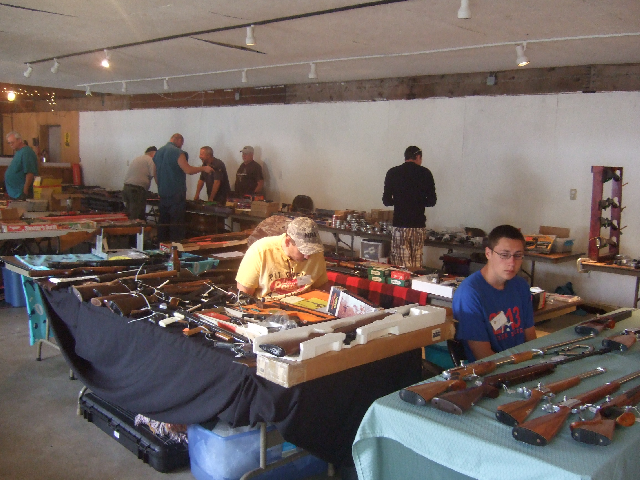 The show consisted of about 30 tables of airguns from early Daisy’s and Benjamin’s to the latest competition rifles. 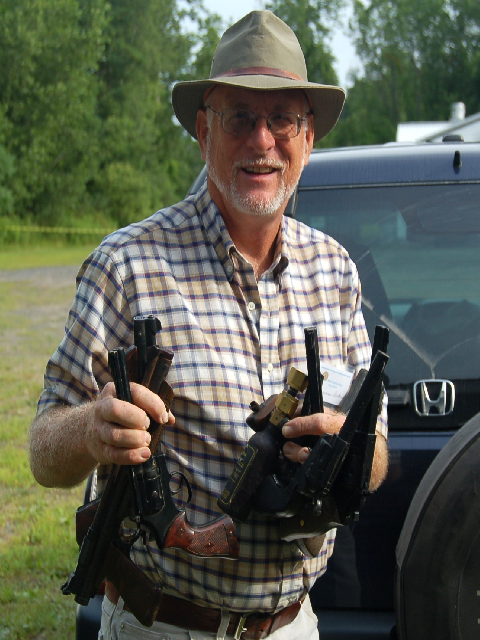 Tom Slocum was there repairing Crosman airguns on site. Wes Powers always brings some nice airguns. Wes is the sponsor of the Daisy Get Together in Kalamazoo MI. 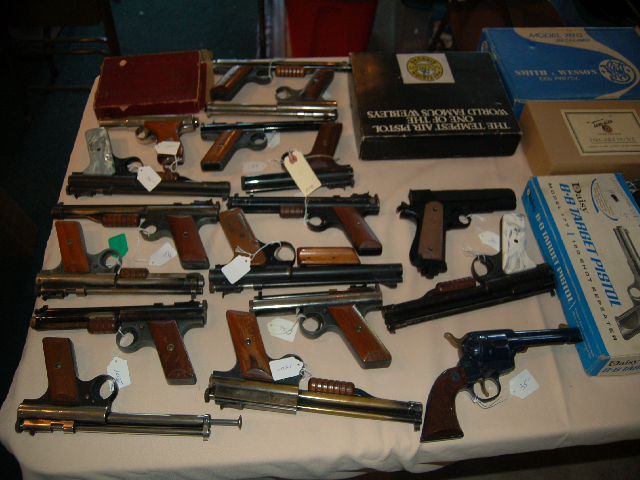 We Powers brought and bunch of nice vintage guns including these early Benjamin pistols. Yikes? I want them all. Wes Powers always has some nice vintage airguns. It’s early yet. On the right Steve Joseph has some interesting air rifles from the Philippines. Early in the morning. Not quite awake. The table on the right belonged to Steve Joseph and had some really interesting airguns from the Philippines. Hey, it’s me with a fistful. I love this stuff. I’ll be back next year.